Coming off of strong reviews across the board, Netflix confirmed the inevitable back in February when it renewed Aziz Ansari’s astute comedy Master of None for a second season, but didn’t mention when fans could expect the return of one Dev Shah. Now, taking to Twitter, Ansari has today narrowed down that release window somewhat, revealing that the next batch of episodes will hit the streaming platform in April of next year. I’m sorry I never tweet. We’re writing Master of None Season 2. It’ll be out in April. I did some podcasts if you want to check them out? Headlining Master of None as a 30s-something actor, who makes ends meet in New York City while working across a series of commercials, Aziz Ansari originally hatched the Netflix original series in tandem with Alan Yang, who remains attached to pen the second season ahead of its 2017 premiere. Casting-wise, of the stars that featured in Master of None‘s inaugural season – Noel Wells (Saturday Night Live), Lena Waithe (The Comeback), Eric Wareheim (The Office), Kelvin Yu (Cloverfield), Todd Barry (The Knick) and H. Jon Benjamin (Archer) – it’s still too soon to tell who will be reprising their roles in little under a year’s time, but expect official details to emerge in the coming months. 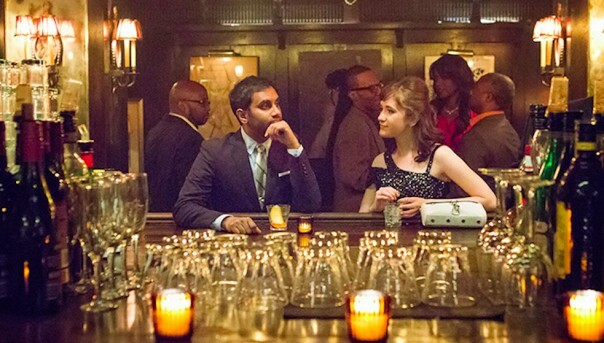 Dev Shah will continue to stumble his way through modern life, making up his masterplan as he goes, when Master of None season 2 makes its bow on Netflix in April of 2017.